As I type, 94% of generation in Victoria is being sourced from brown coal. 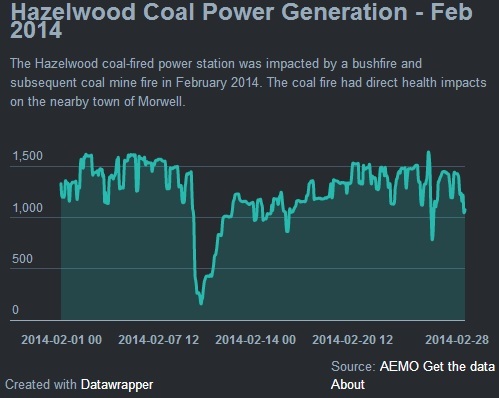 Hazelwood power station is pumping out 1,221 megawatts, about 20% of total Victorian power. 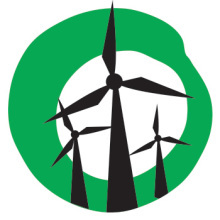 At the same time, the open cut coal mine that provides fuel to the power station is burning; a slow, intense fire that sits at the coal seam face. 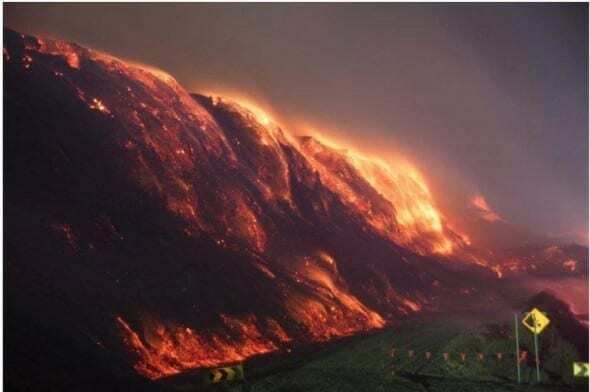 The fires, suspected to have been deliberately lit, eject plumes of smoke into Morwell, a town of 14,005 residents, a stone’s throw away from the smouldering seam. Click here for more on Google Earth image. Morwell, on the right hand side of this image, sits directly next to the Hazelwood coal mine. The power station sits at the bottom left of the image. Source: Google Earth. 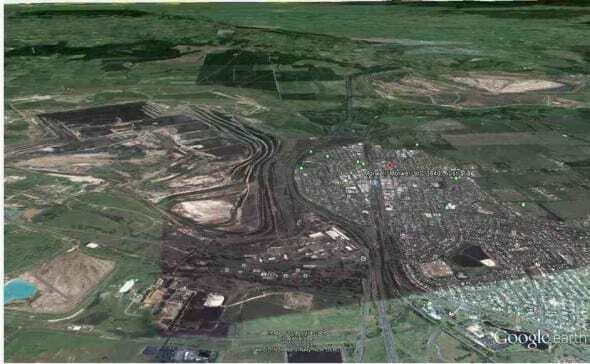 Morwell, on the right hand side of this image, sits directly next to the Hazelwood coal mine. The power station sits at the bottom left of the image. Click here for a satellite view of the coal mine and the town. Source: Google Earth. The fire has been burning for several weeks now, and authorities are concerned it might linger for months. CFA photographer Keith Pakenham has published a set of haunting photos of the fire – an unnerving capture of the alien landscape faced by the Country Fire Authority, every night, as they fight the blaze. Air quality has dropped significantly since the fire began. 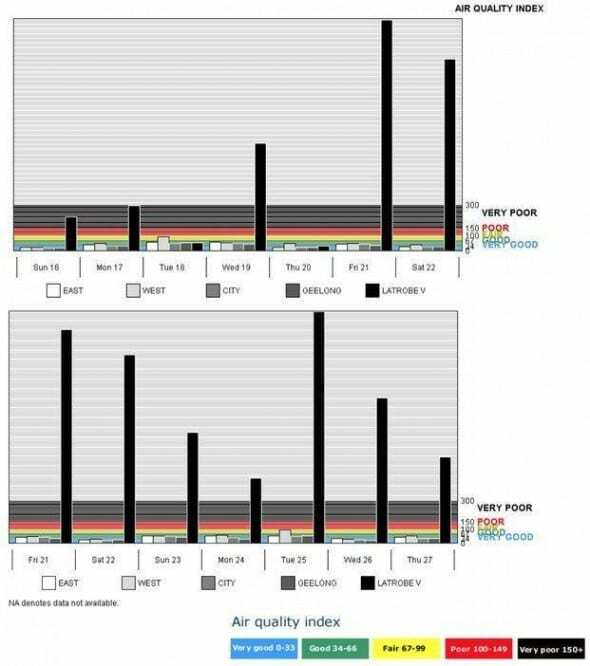 The Victorian Environmental Protection Authority publishes air quality data on their website, and it’s clear that the residents of Morwell are experiencing serious impacts. See more here. The consequences are wide-ranging. 20 firefighters were sent to hospital with carbon monoxide poisoning in the first week of the incident. Residents have attended health assessment centres established in the town after experiencing nose bleeds, chest pains and respiratory problems. 25,000 face masks have been distributed around the local area by the Latrobe City Council, and EPA Victoria have released a steady stream of high level alerts warning of immediate impacts from smoke inhalation and poor air quality.